How could a nation that produced Figo and Eusebio produce a football team fool of, well as Exiled said, TARTS?! 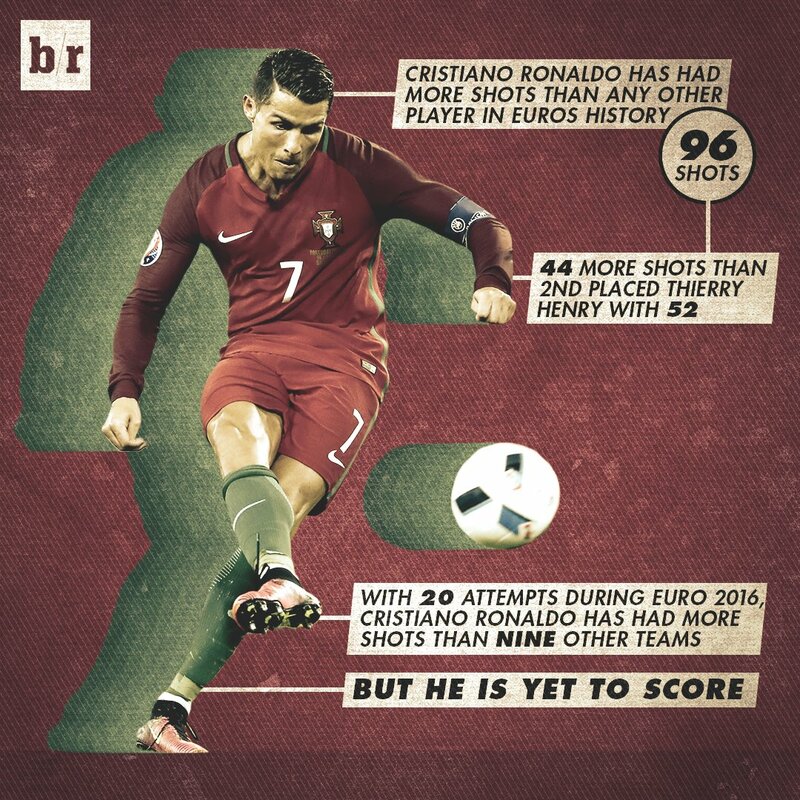 But he plays for Portugal. correct Madeira were i'm from, Madeira is a Portuguese Island just like the isle of white, Falklands, isle of man, Jersey, Guernsey are English Islands, your point is? He does not do himself any favours, Beckham, Rooney, Suarez would never do that. Everyone who gets a mic jammed into their face dreams of doing that, but no one actually does. Holy sh*t! What a last set of group games this is - Hungary lead Portugal 3-2! The captain with two deflected shots! Iceland leading Austria! At this rate England will play Iceland! If England get Portugal they are getting no further. Drama! Come on Iceland and Hungary! Ronaldo has done enough for my fantasy side. Stop now and let Hungary win. It would be so typical of England to bottle the group and somehow end up with Portugal in the last 16 - who may bottle their group. Renato Sanches looks a great little player. 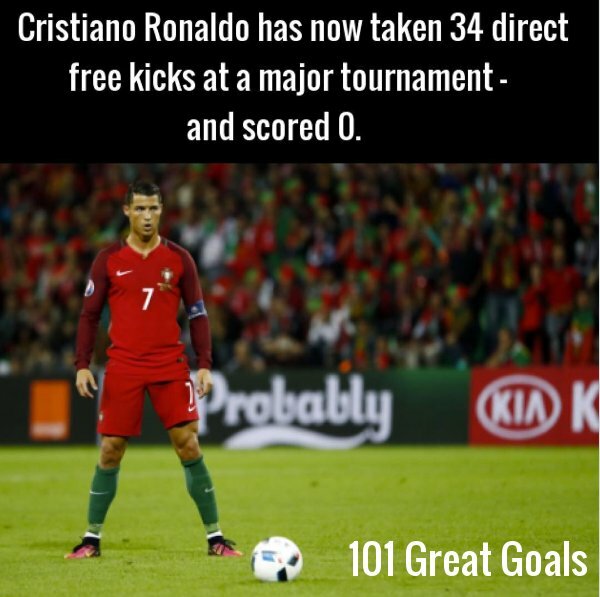 Ronaldo needs to quit with these free kicks. One of the greediest players ever. 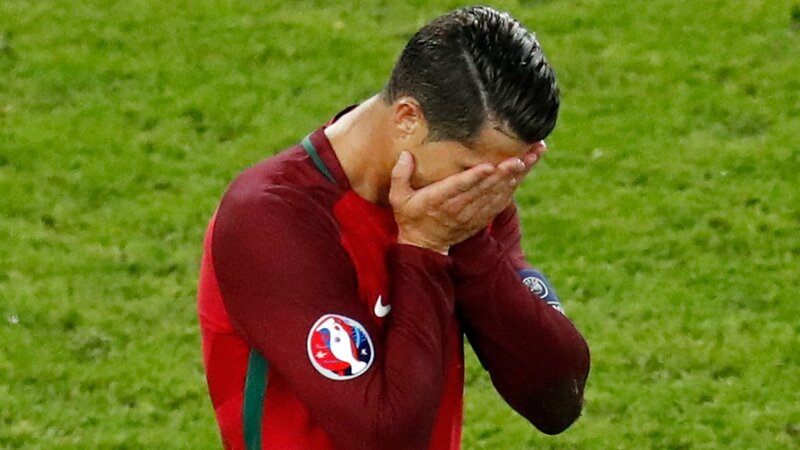 So... who finishes second then - Portugal or Iceland - or do they toss a coin? I'm quite happy playing Portugal next round, they're easily got at at the back, will let us play instead of parking the bus in the penalty area and you just take ladyboy out of the equation to make it easier still. Well its England vs Portugal. Its England vs Iceland for the next round. Will Iceland do a Leicester? It would have been Portugal based on goals scored but Iceland just scored so it's Iceland. Would've been Portugal on goals scored. Thank god. Iceland. I feel better now. So who do Portugal face now? Would love for them to be dumped out..